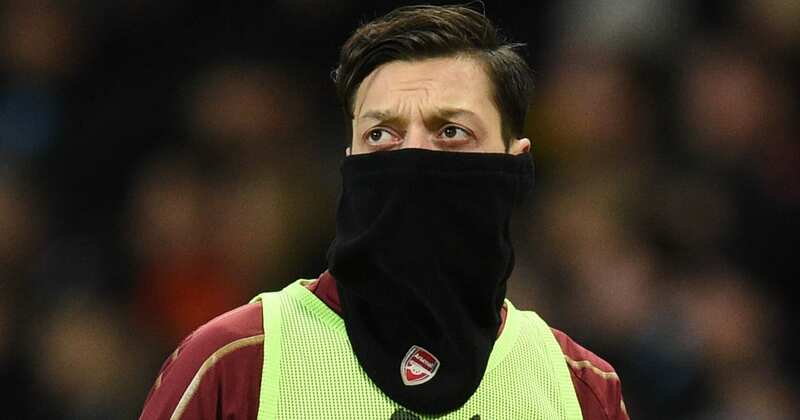 Arsenal playmaker ​Mesut Ozil made his return to full first team training duties on Wednesday morning, but it wasn’t enough to earn him a place in the club’s 18-man travelling squad for the Europa League last 32 clash with BATE Borisov. Alongside Ozil, the Gunners welcomed Granit Xhaka, Sokratis Papastathopoulos and Pierre-Emerick Aubameyang back into the fold. And both Xhaka and Aubameyang did enough to convince Unai Emery of their fitness, thus making the matchday squad. However, as revealed by the club’s official twitter account, the estranged German was not so lucky. He was absent from the 2-1 victory away at Huddersfield due to illness, and hasn’t been seen since his 76 minute showing against Cardiff City, in which he wore the captain’s armband. It was not the first time the 30-year-old has been out of action this season, with various illnesses as well as back and knee trouble keeping him out of no less than 13 games across competitions this campaign. Those 76 minutes against Cardiff are the only ones ​Ozil has managed since the Boxing Day clash with Brighton, and before that he had made just two appearances since November 11th. After appearing to be shopped around in the January transfer window, to no avail, there have been further reports in recent days that the midfielder is currently being offered to other clubs by intermediaries. After succumbing to ​Atletico Madrid in last season’s semi final, ​Arsenal will be seeking to go one step further this time around, and continue Emery’s fine record in the competition he won three times with Sevilla.